We service and sell a lot of commercial landscaping equipment. 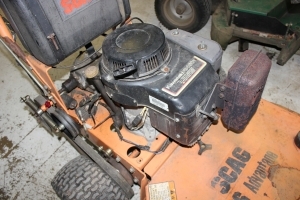 From time to time we’ll have gently used landscaping equipment including: mowers, trimmers, blowers, chainsaws and more. Check this page often as we update our listings. 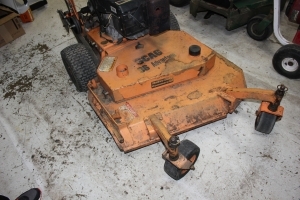 Up for sale is a used Scag walk behind mower. 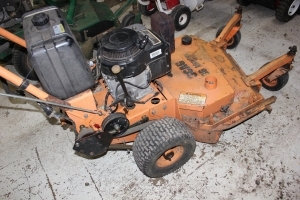 This commercial lawn mower is powered by a Kawasaki 12.5 HP engine which is powerful and efficient. It features Scag’s Advantage Deck. The FB460 motor was recently serviced and is in good running shape. The mower works well and is ready to be used in your fleet. 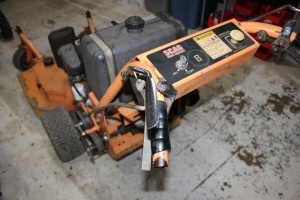 A velke hitch and grass catcher bracket are both included with this mower. Come check it out today and save a bundle versus buying new. Asking $1,250 or best offer. Call us at 301.326.1121 or use the contact form to the right to email us for more information.